Talia Emery, M.D., our Medical Director, is recognized as one of the top practitioners of aesthetic medicine in the country. She oversees all aspects of client care, actively sees and treats patients, and maintains responsibility for the recruiting and development of our staff. Dr. Emery was a board certified family physician that began her career as Chief Resident then Attending Physician at Kaiser Permanente hospital in Woodland Hills. 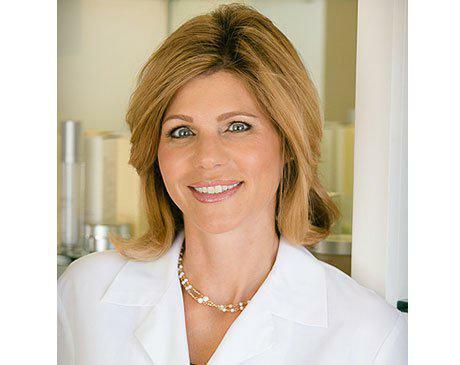 She currently serves as Medical Director for multiple aesthetic medicine companies. She also works as a private consultant in the aesthetic medicine industry serving clients ranging from large biotech and pharmaceutical companies developing new products to physician offices seeking to improve their operations to top-tier resorts and hotels looking to establish a medical spa presence. Dr. Emery is a certified speaker and trainer for BOTOX® and Juvederm®, and in that role is engaged to speak to and train physicians and their staffs across the country. Further, she is frequently asked to speak at industry events and has been recognized by Allergan as one of the top BOTOX® and Juvederm® providers and injectors in the country. She serves on Allergan’s Facial Aesthetics Advisory Board and is also part of the National Speakers Bureau for Latisse®. In addition to her professional roles, Dr. Emery prides herself on the long-standing relationships she has with her clients and the impeccable reputation she has attained with them. Dr. Emery has an unprecedented retention rate among clients and is highly regarded and sought after by industry leaders and executives in the field of aesthetic skin care when they require aesthetic services. Prior to practicing medicine full-time, Dr. Emery received a B.S. from the University of California – Los Angeles (UCLA) with a major in biology, earned her M.D. from Temple University’s School of Medicine, and completed her residency with UCLA at Kaiser Permanente Woodland Hills. Dr. Emery lives in Southern California with her two young boys. She enjoys watching and participating in numerous outdoor activities and sports.